Fall fishing in Michigan means one thing to me, it's smallmouth time. Smallmouth are very active in cold water and are putting on the fall feed bag. It presents an awesome opportunity not only for numbers of fish but the biggest fish of the year. 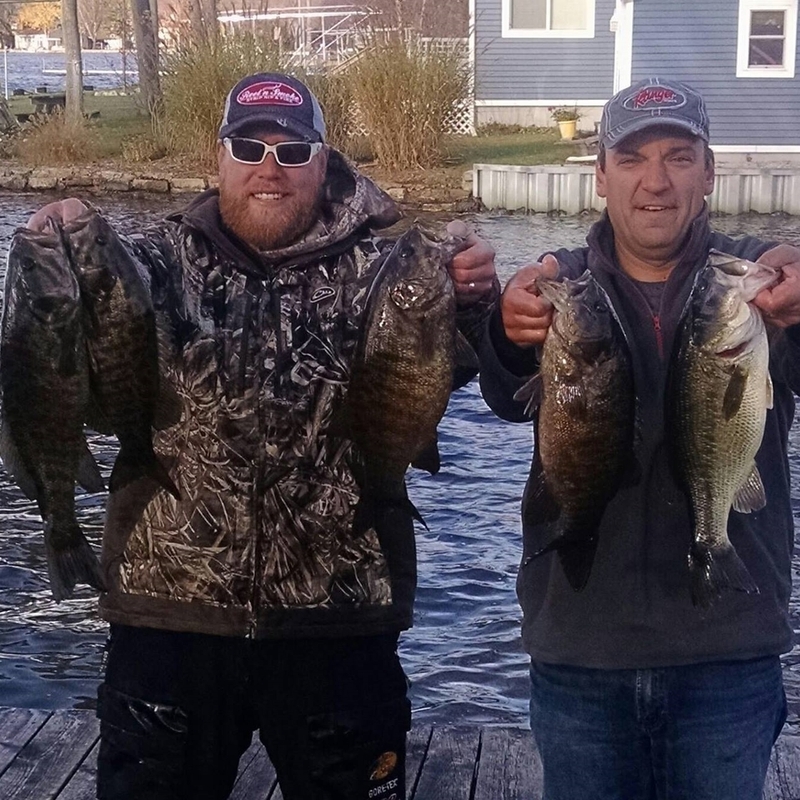 In fact just last week the Michigan smallmouth state record was broken with a 9.32 pounder from Hubbard Lake. One of my favorite ways to catch fall smallies is with a suspending jerkbait. I'll experiment with my cadence until I find what they want on a given day but I typically start with a jerk-jerk-jerk-pause. Long pauses can be really productive in water that's dropped to the low 40's. But I always use the shortest pause I can get away with, enabling me to make more casts throughout the day. These aggressive smallies will move a long way to eat a jerkbait, so the clearer water the better. Points, flats, drop offs, and places influenced by current are ideal areas to look for smallmouth. If an area has wind blowing on it, it makes things even better since the fish won't get such a great look at the bait. One last tip is to always watch your bait as you retrieve it. Smallies are notorious for following it all the way back to the boat without biting. When they are following but not biting it's time to make a change. It could be color, cadence, or even the particular brand of jerkbait you have on. Keep switching it up until you find the magic combination.